Crowned by the Parthenon, the Acropolis dominates the city everywhere. The Acropolis was inhabited as of the Neolithic time. The first temples, devoted to the worship of Athena, date from the Mycenian era. In 480 BC, the day before the battle of Salamin, all is destroyed by Persians. 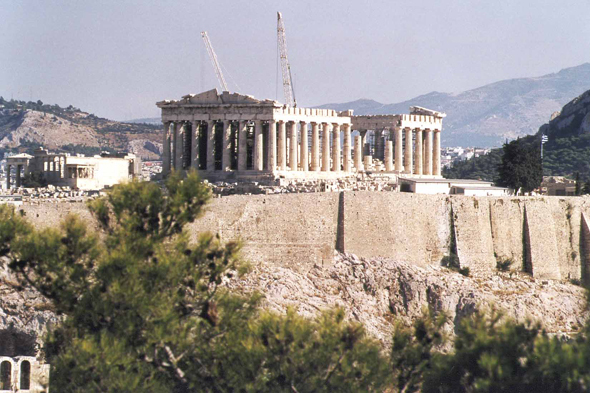 Started into 447 BC, the Parthenon was completed in time for the Great Panathenae in 438 BC.